Extremely fast data transfer is one of they key things in precise measurement. 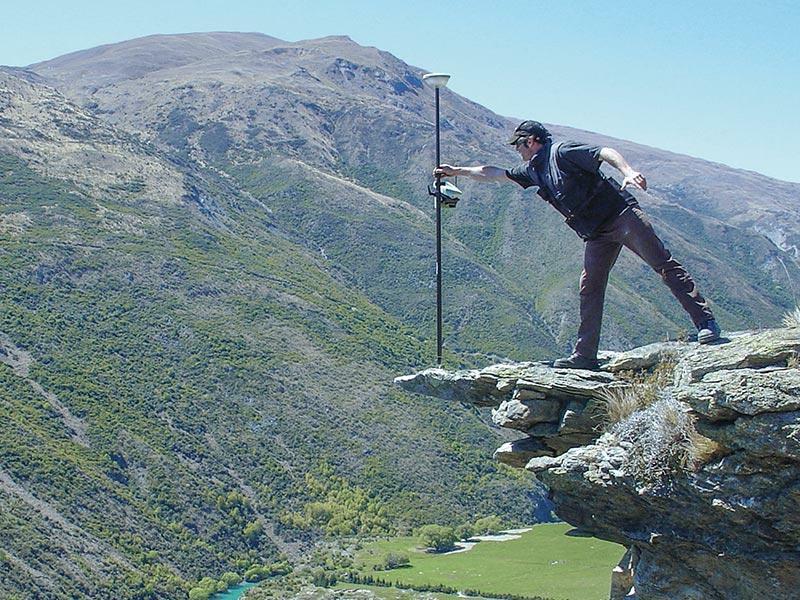 Leica Geosystems uses SATEL radio technology in its satellite positioning devices. The radio module is fully integrated into measurement devices. This has made the technology, used in sometimes very difficult field conditions, even more reliable. Leica Geosystems Oy is a subsidiary owned by Leica Geosystems AG. The company’s main areas of focus are surveying, satellite measurement, mapping, laser scanning, construction and industrial measurement, and civil engineering measurement instruments. The technology is also suitable for controlling construction machines. Cooperation began in the late1990s, when Leica required a reliable point-to-point wireless data transfer link. According to Esa Wikman from Leica Geosystems, the cooperation with SATEL has deepened into a real partnership. Leica’s satellite positioning devices use SATELLINE radio modems. The radio modems transfer satellite positioning correction data from an accurately known point to a mobile measurement receiver. In landscape conditions, the practical operating distance is typically up to 6–7 kilometers. With permanently installed base locations distances up to 30 kilometers can be achieved. When satellite-positioning coordinates are corrected continually in relation to a known point, it is possible to achieve centimeter accuracy. Kinematic (RTK, real-time kinematic) measurement is possible. Measurement personnel can carry the receiver; enabling precise measurement data to be obtained quickly even over long distances with no visual contact. A special application is construction machine guidance. The receiver is installed on the machine, thereby enabling the location of an excavator bucket to be continually known. Measurement of demanding excavation tasks takes place efficiently as work progresses. The SATELLINE radio modems are also extremely fast; the measurement data latency is only a few tens of milliseconds. Leica’s systems are also fully compatible with future satellite positioning systems. For the radio modem frequency band, more compact correction data formats have been developed, ensuring that the reliable transfer of correction data will also be possible in future.